It has been eight years since L.M. Ross has published his last novel and he is back like no other with his latest book published in April. Like Litter In The Wind,explores mental illness in a family and the effects it causes. Get your copy, I promise you want be disappointed. Cleavester: For those that don’t know you please give the readers a brief bio on you? L.M. Ross: I’m a die-hard New Yorker. As a teen, I was first published as a poet, and through the intervening years my work has appeared in over 250 publications. In addition, I’m a playwright, short story writer, a blogger and novelist. 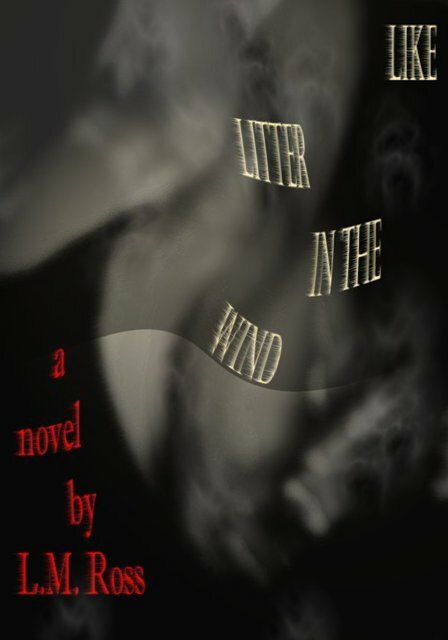 Like Litter in the Wind is my fourth book. 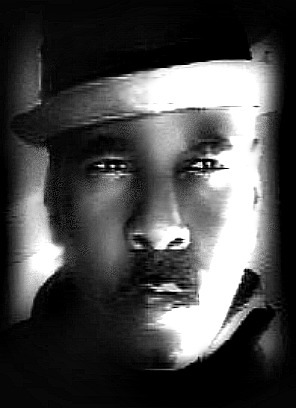 The previously penned novels would be “The Long Blue Moan,” “Manhood,” and “The Moanin’ After.” In my free time, I enjoy jazz and spoken word performance. Cleavester: Tell us about your new book “Like Litter In The Wind”? L.M. Ross: Like Litter in the Wind explores the sweet life and turbulent times of the upper-middle class Harlem family, the Swintons. The proud beautiful and talented Swintons, who, from the outside, people thought to be every bit the ideal family. Those people were wrong. Throughout this literary narrative of decadence, history, celebration and woe, we are left to wonder which Swinton youth committed the unthinkable. As time ticks away and the death penalty looms, the story shifts into a psychological whodunit and asks the probing question: just what do we really know about these people we call family? Just when you’ve have gathered all the clues and missing puzzle pieces to solve the unfolding mystery, there is an unexpected twist that even the most sophisticated of crime readers would never predict. Cleavester: What inspired you to write ‘Like Litter..’? L.M. Ross: Ever heard the expression, ‘Necessity is the Mother of Invention’? I saw a necessity for a book that explores the joys as well as the pathologies within the African-American family… and to a larger part, the community… our beliefs, our superstitions, our pride, our prejudices and our taboos. I have not ever read a book that’s anything remotely similar to Like Litter in the Wind. It’s a history of Black folks in the mid-late 20th century, a love letter to the worlds of jazz and art, an exploration of failure and success, and a blueprint into events that can lead to tragedy. I wanted to read a book like this, but, to my knowledge, there wasn’t a single one around, so I had to create that book myself. Cleavester: A writer as gifted and talented as you. Why did it take so long for you to release a new book? L.M. Ross: Well, thanks very much for the compliment. You want the short answer? In my case, it was a profound and deep disappointment leading a lasting sense of disenchantment with the publishing industry. I have no doubt that many ‘gifted and talented’ voices have been silenced or wonderful scribes with something meaningful to say have walked away because the publishing process does not honor, respect, nor favor writers. That’s a very sad and painful realization, but it happens to be very true. Cleavester: Which scene in the book is your favorite? L.M. Ross: There are actually several. Hmmm… I would have to say the funeral scene… because it contains so many diverse elements: action, drama, comedy, revelation, surprise. You know how crazy things can get with family comes together. Cleavester: What would you like your readers to take away from the book? L.M. Ross: There isn’t just a single message in LLITW. Readers are bound to come away with many different impressions. However, once that final page is turned, I can only hope and pray they will no longer deny what’s right in front of them, dismiss the specter of mental illness or those who suffer from it… because to do so can lead to deeply tragic results. One only needs to watch the news to see this happening in this country and in the world. The ironic thing is that I had already written this novel BEFORE the tragedies in Aurora, Colorado, and Newtown, Connecticut, had ever occurred. Cleavester: What can we expect from you next? L.M. Ross: Novels are so emotionally exhausting to write… and people have to find the time and inner commitment needed to read and complete a lengthy book. Realizing this, the next project will likely be a collection of my poetry. There’s been a steady demand from some folks, so I’ll eventually have to give the people what they want. LOL.